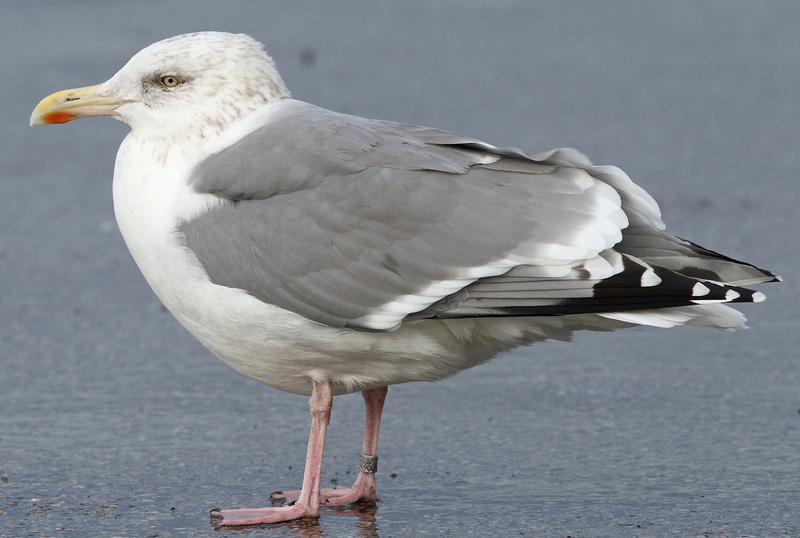 Herring Gull argentatus NOS 486900 32CY, January 07 2016, Boulogne-sur-Mer, France. Picture: Jean-Michel Sauvage. Metal ring Stavanger: NOS 486900, ringed as 2CY on October 06 1985 at HILLESØY - Troms, Tromsø, N Norway (69°3800N, 018°0000E). Distance: 2271 km. 30 Years, 3 month(s) and 1 day after ringing, and when ringed already in 2CY. Bird with thayeri pattern on P10 (quite common in N Scandinavian population).